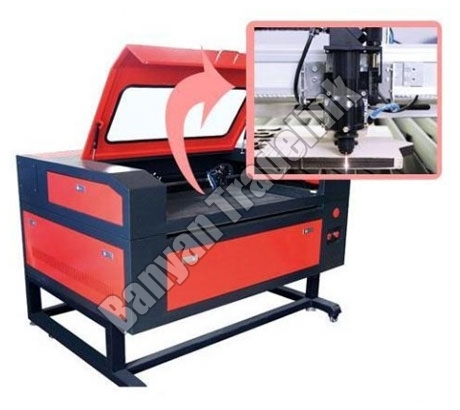 Non Metal Laser Engraving and Cutting Machine performs cutting and engraving action on materials like Plexiglas, acrylic, wooden board, plastic, crystal, rubber, ceramic tile, bamboo, granite, marble, etc. We are engaged in import, supply and export of Non Metal Laser Engraving and Cutting Machine from Gujarat. The offered Non Metal Laser Engraving and Cutting Machine employs Hermetic CO2 Glass Tube laser and transfers files directly into AutoCAD and Corel Draw.